If you need a new smartphone that has generous storage options and solid performance, then you are in the right place because we are teaming up with GearBest to giveaway one Asus ZenFone 2 smartphone device to one lucky person. GearBest is one of the go-to online shopping sites for people who are looking to buy tech gadgets. They have a huge selection of the latest and best-est gadgets, including smartphones, smart watches, drones, consumer electronics, etc. Everything you need, they have it. GearBest is popular to online shoppers internationally because they can ship anywhere worldwide plus their prices are the BEST anywhere online. 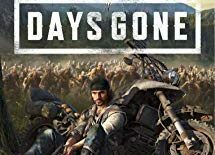 They even have Gadget Deals and $0.99 Deals everyday! From March 14 to 20, GearBest will be celebrating their 3rd Anniversary – that’s 3 years of being one of the top online gadget store. And of course, a celebration won’t be a celebration without big promos so make sure to visit GearBest on those dates because they are promising up to 70% off on certain products. Favorite brands like Xiaomi, DJI or Huawei will be on board for some surprises. And don’t ignore the “GET IT FREE” feature that they have. You can get the product that you like for free just by sharing. Awesome, right? 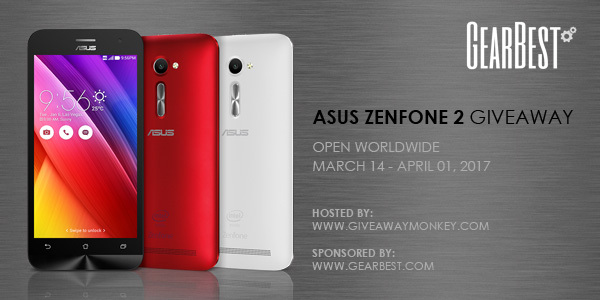 You can learn more about that FREE promo on their website but for now, one of our readers or followers will get a FREE Asus ZenFone 2 from GearBest through this giveaway. With its 1080p screen, generous storage options, 13mp camera, solid performance, and brushed metal back design, Asus ZenFone 2 is indeed an amazing smartphone. 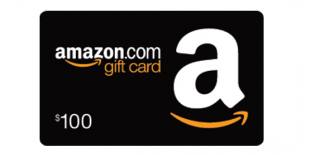 Use the rafflecopter form below to earn your chances. We have tons of options to choose from for gaining entries. Make sure to bookmark this page because we have daily free entries as well. The more entries, the more chances of winning. This giveaway will close on April 1, 2017 and is open to 18+ worldwide. 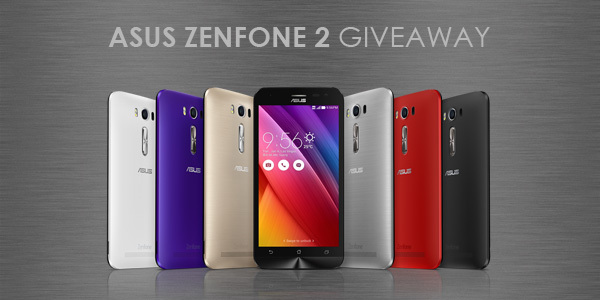 One winner will get ASUS ZenFone 2 (ZE551ML) 4G Phablet for free in his or her choice of color. Good luck! UPDATE: Look at this twitter post to see how delighted our lucky winner is with his new Asus ZenPhone. 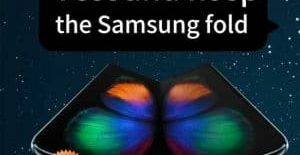 Great giveaway, I so need a new phone! I like the JJ16052 DIY Fruit Juice Extractor – WHITE AND GREEN 1, ainol A – S11 Smart Robotic Vacuum Cleaner – EU PLUG ROSE GOLD, VIOMI MH1Z – A 3.5L Electric Filter Kettle – BLACK, 12 inch Square Shower Head – SILVER, and the Owl Style Wooden Wall Clock – PINK. The phone would be awesome! Thanks u GB and Happy Anniversary…. CHUWI Hi10 Pro 2 in 1 Ultrabook Tablet PC with Keyboard & Teclast X80 Plus Tablet PC,Bluetooth Smartwatch with Remote Camera,Xiaomi Mi5s 4G Phablet … God Bless ! FYI though, this will not count as a comment entry for the giveaway because you did not mention any product from GearBest that you like.